Dan Walters writes for CALmatters, a public interest journalism venture committed to explaining how California’s state Capitol works and why it matters. For more stories by Dan Walters, go to calmatters.org/commentary. As California’s housing shortage deepened in the last decade, Jerry Brown made only token efforts to address it. However, his successor as governor, Gavin Newsom, promises to confront it head-on, even pledging during his campaign to build 3.5 million new units in six years, which would require annual production to quadruple. That’s patently impossible to achieve, but he’s taking a stab at making good on his promise with a carrot-and-stick approach. Newsom has targeted local opposition to new housing, often dubbed not-in-my-backyard, or NIMBY, as the main obstacle. As he unveiled his new budget in January, he both offered cities and other local governments more money to ramp up housing construction and threatened to take state transportation aid away from those that failed to meet new and more ambitious state housing quotas, particularly money from the new fees and gas taxes that the Legislature passed in 2017. “You don’t reach those goals, we’re going to take SB 1 money from you,” Newsom said, referring to Senate Bill 1, the gas tax measure that raises about $5 billion a year. Later, Newsom underscored his more aggressive assault on local NIMBYism by suing one city, Huntington Beach in Orange County, for failing to zone enough land to meet its housing quota. His administration also identified several dozen other cities it said were dragging their feet. Understandably, Newsom’s threat to withhold transportation money has riled local government officials who had been counting on allocations to fix their roads and streets. They’ve been giving their local legislators – many of whom are former city council members – an earful, as a state Assembly hearing last week demonstrated. 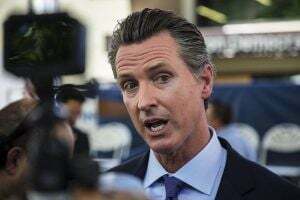 One by one, Newsom’s fellow Democrats criticized the punishment plan, which is still being refined. While there was opposition to the entire concept, legislators were especially critical of tying transportation funding to actual housing production and not merely zoning enough land to meet housing quotas. She made a valid point, and it may be the Achilles heel of Newsom’s carrot-and-stick approach. Cities can – and should – encourage housing through land use planning processes, but ultimately whether planned-for housing is built depends on factors out of their control. By necessity, the vast majority of housing investment comes from the private sector and cities can’t force developers and their lenders to build. And even in cities that have zoned enough land and approved specific development proposals, production often lags because builders cannot find enough carpenters, electricians and other construction workers. The state has immense shortages of those workers – and non-construction workers as well, such as auto mechanics – and has short-sightedly neglected what used to be called vocational education. Nor are we seeing the migration of workers from outside California to close the gap. Meanwhile, the resistance to Newsom’s approach displayed during the legislative hearing may take a more direct form. Local government officials are talking about writing a ballot measure that would protect the transportation financing that SB 1 promised, and that voters ratified last year by rejecting a ballot measure to overturn it. It would be fair to say that in just a few weeks, Newsom has been more engaged in the housing crisis than predecessor Jerry Brown was during the previous eight years. 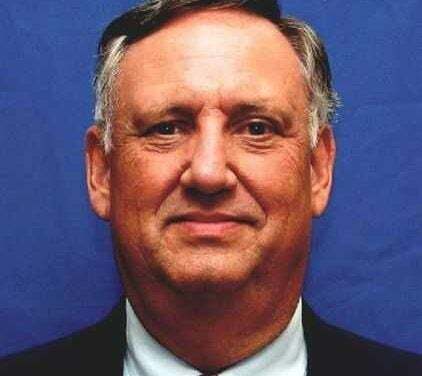 Dan Walters: Are big tax increases coming to California?